Analgesics, better known as painkillers (from the Greek “algos”, which stands for ‘pain’), are medicines used to achieve relief from pain by operating on the central nervous system and suppressing the feeling of pain. Each analgesic works in a different way, but all have the same goal – to reduce pain. Chemical painkillers have numerous downsides – they can cause digestion problems, stomach ulcer, and inflammation of the small intestine. This inflammation is sometimes also associated with “leaky gut syndrome” and presents a serious issue because due to inflammation the intestine becomes leaky so that undigested molecules instead of being eliminated, enter the bloodstream and cause arthritis, allergy, and psoriasis. There is a difference in chronic and acute pain, the latter one appears suddenly and usually doesn’t last long and can be eased with the help of regular medications while chronic pain may pose a serious problem to a person and requires a prompt and adequate diagnosis. Sometimes an acute pain may develop into a chronic disease. Contains salicylates which reduce pain and capsaicin stimulates the release of endorphins. 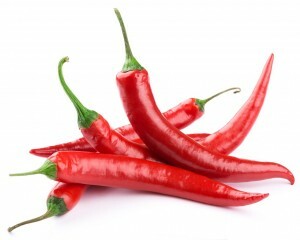 Numerous studies attest to an effective topical use of capsaicin for treating rheumatism and arthritis. 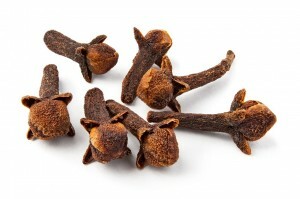 It is scientifically proven that clove oil alleviates toothache. A small amount of oil only needs to be gently massaged on the painful area (tooth and gums). 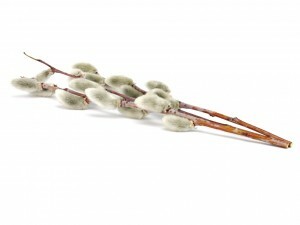 Willow contains salicin, which was long ago used by a Greek physician Hippocrates, who recommended using white willow tea to relieve pain. Though natural salicin works slower than the industrially made, it yields the same result – relieves pain. Apart from white willow tea, you can also use willow bark powder, however, persons allergic to aspirin shouldn’t use this plant at all. This is an Indian plant known from long ago to work as a natural painkiller. Aromatic resin of this plant is called frankincense (Boswellia cartri). Active ingredients found in all boswellia acids have anti-inflammatory and analgesic properties. Some studies confirmed its effectiveness with people diagnosed with rheumatoid arthritis. It is suitable for oral and topical use and for now, has no negative side effects, yet is very efficient. An excellent remedy for arthritis. Studies have shown it is as effective as industrial medications used to treat arthritis, osteoarthritis, painful bones and joints. Its power lies in the fact it doesn’t damage the cartilage or irritate intestines unlike antirheumatic drugs, but protects cartilage and joints and improves mobility. The root of this plant contains iridoid glycosides which have analgesic and anti-inflammatory properties reported to encourage the elimination of toxins accumulated around the joints. Certain research made in Germany has shown that devil’s claw significantly reduces the intensity of pain, numbness and weakness in the lower back. Thus, it may be concluded that regular use of this plant will certainly decrease the need for painkillers. The plant turmeric contains a special ingredient known as curcumin, a potent compound to treat pain and rheumatoid arthritis inflammation. It has been scientifically evidenced that curcumin prevents pain signals to reach the brain by acting upon the substance P, a neurotransmitter. It can be used in conjunction with bromelain. Burdock root extract became famous as a natural painkiller. The plant should be crushed and grinded to extract juice and then this juice is used to treat the painful area. Contains digestion enzyme bromelain known for its anti-inflammatory properties which is why it is a common ingredient in creams used to treat rheumatoid arthritis, injuries, strained muscles and sprained joints. This chamomile-like plant is best known for its therapeutic effect, helpful in treating migraine. The ancient Greeks also used it to relieve menstrual cramps and inflammation. For centuries, it was used to treat arthritis because it inhibits the production of prostaglandins that act as messenger hormones and have diverse effects, some of them causing pain and inflammation. This medicinal plant is one of the best sources of amino acid tryptophan. Studies have shown that natural tryptophan alternative alleviates the pain caused by acute and chronic diseases and also increase pain tolerance. If you decide to go for this plant, use powder made by grinding the seeds; evening primrose oil contains a smaller amount of tryptophan, thus, it’s less effective. Did you know that only 2 to 3 teaspoons of ginger powder helps to treat rheumatoid arthritis and painful myositis (muscle inflammation)? Moreover, ginger compress (made with hot water and ginger) is an excellent remedy for stomach cramps, headache and joint stiffness. Lavender oil is an amazing plant used in aromatherapy for pain relief. Some suggest that it was the lavender plant that brought on to the development of aromatherapy, that is, use of lavender oils in treating various conditions. Lavender oil contains linalool and linalyl acetate. Mix several drops of lavender essential oil with a tablespoon of vegetable oil and then use it to massage onto the affected area. Mix the herbs using equal dose of each one and make some tea (use boiling water and leave for 5 minutes, strain). You can also use the tea to make a compress and apply it onto the painful area. It needs to be added that no financial gain is hidden behind this green pharmacy list, but a devoted ecologist and an advocate of a healthier lifestyle is. So, if you happen to be in pain (and everyone is, from time to time) for some reason, try not to immediately jump to instant solutions, but use the gifts from the Nature, don’t turn your back on it. After all, you are also a part of the Nature, the same as all other living things on Earth.